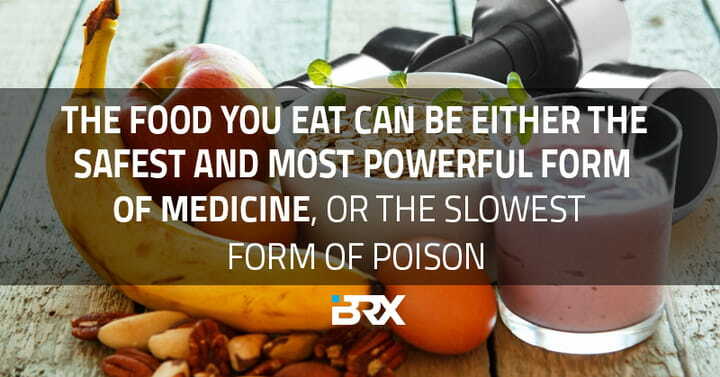 Nutrition can be a double edged sword. Get it right and you can accelerate your recovery allowing you to train more often and at a higher intensity, or it can prevent you from ever reaching your goals. Remember everything you eat is either taking you closer to your goals or moving you further away. Which protein sources are right for you? 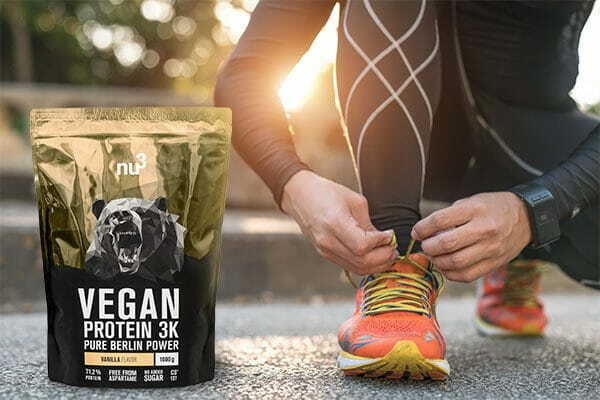 Nu3 have created a vegan shake protein that contains no sugar, 21 g of protein per serving and offers a complete amino acid profile. The vegan bio protein of course contains no animal products, and is created from a combination of pea protein, hemp and rice. This is ethically sound, natural, healthy and a great addition to any intelligent nutritional plan! Now this is something that makes a huge difference to your health, performance and recovery regardless of your goal. Breakfast can be one of the meals that people eat a solely carbohydrate based meal. Often individuals can go until 1.30pm before eating any form of protein (and even then its is usually only a small amount). 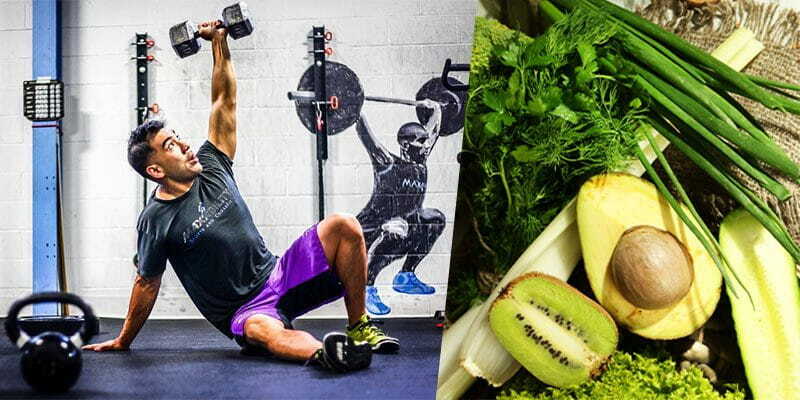 Want to build muscle, lose fat, optimise your recovery and be awesome at work? Then get some into your breakfast! So why is having protein at breakfast so crucial? Boosts neurotransmitter production – enhances memory, attention and drive for the day ahead. It is linked to eating less throughout the day. Stabilises energy levels – no mid morning energy dips. It doesn’t matter whether you do the 6am conditioning class or the 8pm weightlifting class you need this at breakfast. A high quality protein shake is also a great option for supplying your body for the day ahead. Always choose quality over quantity, and select products made from organic ingredients such as the bio vegan whey from Nu3, a leading supplier of nutrients and supplements to the European market. Eggs – anyway you like – Omelettes, baked eggs, scrambled, poached, boiled. Add veggies, add meat, add fish – be creative. Meat and nuts – Charles Poliquin championed this method. Try it. Trust me. Chia seed puddings – So versatile and can be used for snacks and desserts as well. Smoothies – Great way to add in lots of different superfoods and nutrients. Add spirulina, maca and tyrosine into a morning smoothie. It is absolutely essential that you consume some form of protein after you complete a workout. A rule of thumb is to try and get at least 0.6g/kg/BW of protein into your shake/meal post workout. So if you are 75kg then you will require 45g protein. Although it is difficult to make a precise assumption regarding the most suitable time when food rich in protein should be consumed after a workout, there is general agreement over the fact that a snack or a meal featuring protein eaten soon after a training session greatly contributes to speeding up the recovery process. Meat has a high protein content that will help to fuel your body for recovery and performance. Try to avoid fatty meat and buy the best quality cuts you can afford. There are numerous other health benefits brought by the consumption of fish aside from the protein. It is no secret that eggs offer a broad range of health benefits, and protein is no exception. They contain all nine essential amino acids, as well as many other important nutrients. It is worth noting that the protein content is equally split between the yolk and the white, so eating the whole egg would be advisable. Furthermore, eggs are considered to be richest in protein in their hard-boiled state. They contain the highest amount of protein after the animal-based foods, thus being the best natural sources available to vegetarians and vegans. Although they do not have all nine essential amino acids found in meat, they feature lysine, which is usually absent in plant-based compounds. Furthermore, they are low in fat. Soybeans are among the varieties with the highest protein content. Pea proteins are an ideal base for a vegan protein powder and combine perfectly with hemp and rice proteins. 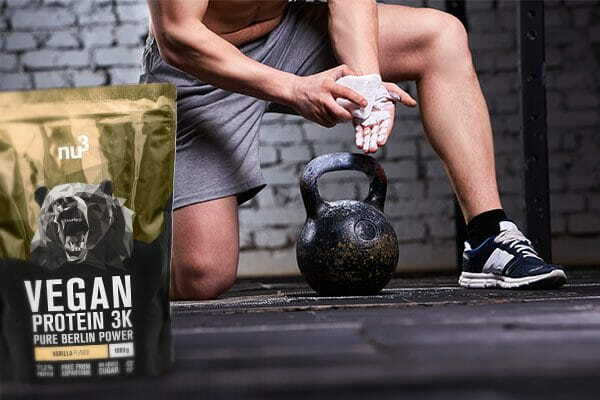 The combination of these three proteins provides a complete amino acid profile and a chemical score that has nothing to envy from more traditional whey proteins. 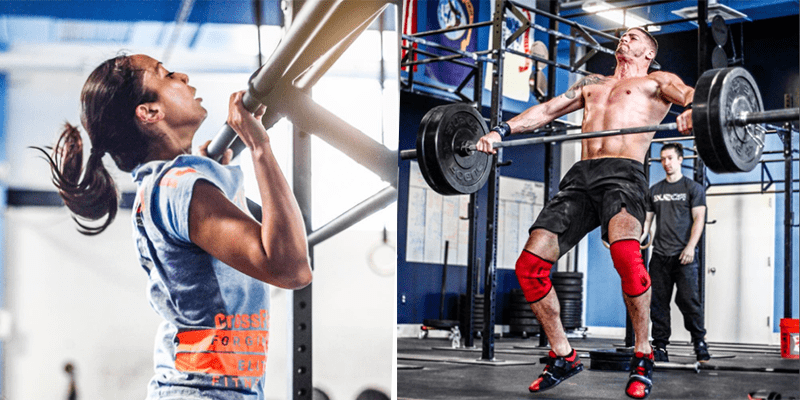 BCAAs reduce the rate of protein breakdown, increase protein synthesis, and help improve workout intensity allowing you to work harder for a longer period. Increasing synthesis and decreasing breakdown will equate to muscle gain or maintenance. BCAAs are an excellent and intelligent addition to your nutrition if you are serious about maximising your performance and recovery. It is clear that some form of protein MUST be eaten post workout, whether that is from meats and eggs, vegan plant sources or from a protein shake. Complex carbohydrates are also essential during this period. Some simple advice you can follow is keep protein intake consistent, increase carbohydrates on training days and increase fats on non training days. Carbohydrates to replenish muscle and liver glycogen, fats to help cellular regeneration and lower muscle soreness. 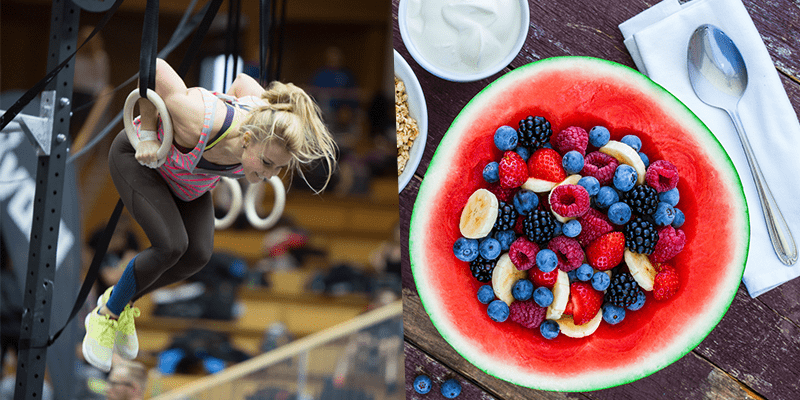 These carbohydrate sources will supply your body with top quality nutrients, optimise your recovery and ensure lasting energy levels throughout the day. We have looked at the importance of eating protein at breakfast in order to set your body and mind up for the day. This also provides energy for your workout, but what else should you think about when it comes to your training? These 3 quick tips will help your performances. Every Athlete should eat no less than 30-45 minutes before each event, ideally 1-3 hours prior. Competition days are a good day to increase your carbs to replenish muscle and liver glycogen. On days you’re not competing or training it is wise to increase your fats to help with cellular regeneration and increase recovery time. Ultimately, you cannot cheat your nutrition. If you fuel your body with poor quality produce and supplements, then you will not have good results. Consistency is also incredibly underrated. Do the simple things well, rely on organic, natural products and you will progress. If every meal has the exact macros your body needs, and is ready to go whenever you need it, you will steadily progress towards your goals. This will stop you veering off course and prevent you from falling back on convenience food or eating to satiate hunger and cravings, which can easily make you overshoot your calorie targets and dent your progress. 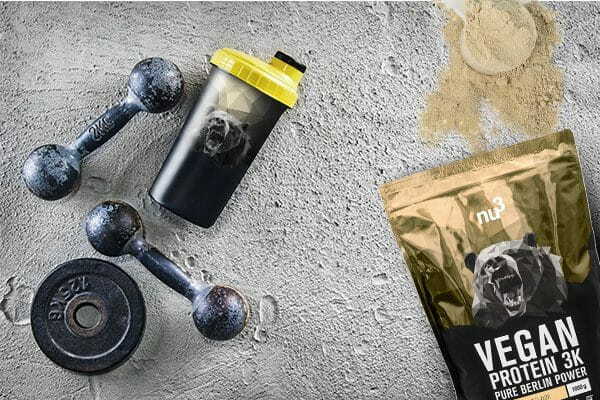 Nu3 are dedicated to providing exceptional nutrition for all athletes and individuals. They commit to using only the best quality organic ingredients, fueling you for success and achieving the goals you want. Having quality, nutrient-rich whole foods on-hand means your body is getting a constant supply of the right macro – and micro nutrients it needs to function optimally. A properly planned diet can keep your metabolic hormones and blood sugar levels balanced and stable – so no more spikes and crashes, just constant energy to help you perform at your best in the gym and be at your most productive and creative at work. Quality is the result of intelligent effort. If you are serious about making progress, getting fitter, healthier and achieving the goals that you set for yourself then you must commit to quality and consistency across the board. Make excellence a daily habit in your life.